Hi 9s! We started talking last Friday about the next big project we will tackle – completing an Inquiry Project in ELA. You decided to use the Unit on Survival and Conquering things, so your choice of topic for your inquiry will have to fit inside that theme in some way. It was difficult to start thinking of ideas for your project, though we spent some time trying to drum up ideas. 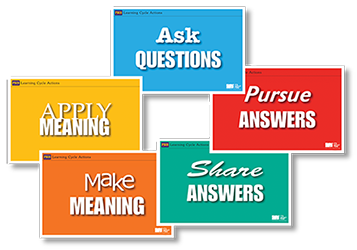 To get an idea of the different ways you can approach your inquiry question, I want you to look at some of the topics chosen by a group of students online. Their teacher, Mr. Schoenbart, has gathered their inquiry ideas, blog links, and names together into this document here. Spend some time today looking at the inquiry questions and what sort of work went into each project. Track your search. Keep a record of the inquiry topic you looked into as well as the student blog address you looked through. Look through at least five blog sites. Once you’ve finished that, I want you to also watch a few student examples of the final project – the presentation of the inquiry project to your class. Watch the videos below AFTER you have carefully looked through at least 5 of the student inquiry projects on the link above. Ap 19/16 A Collection of Hamlet Resources – get to know the play! 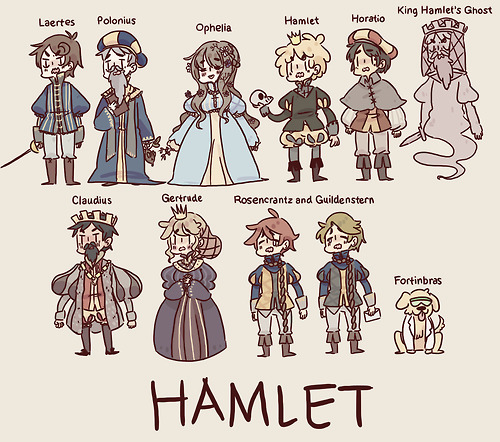 Before we read the play Hamlet, you’re going to study about the play Hamlet. (Say wha?) Yes, you’re going to use the World Wide Web and do some digging and learn the secrets of Shakespeare’s most famous play, Hamlet. Shakespeare even taunts readers/viewers of the play with a famous line that dares them to “Pluck out the mystery” (3, ii). There’s one overriding question related to this play. Let’s see if you can discover it. As you come across great resources to help explore this text, share them and I’ll add them to our collection here. You can click on the images to open them in their respective websites.